This recipe involves chestnut flour, which isn’t commonly used, even in gluten-free baking. Chestnut flour is made from chestnuts that have been dried, the outer peel removed and then ground. The result is a very fine powder that looks gray-tan in color. Chestnut flour is typically imported from France or Italy. Chestnut flour has a sweet flavor, and is commonly used in a variety of Italian dessert recipes. It’s also used to make pasta, breads, and other savory dishes. I first learned about chestnut flour when I saw a post for a Paleo chocolate chip cookie recipe from James Trenda on Instagram. The cookies looked drool worthy, and I was excited to try out a new gluten-free chocolate chip recipe that had promising results. I wasn’t able to locate chestnut flour in any local stores, but Amazon carries the flour online. The cost for chestnut flour is somewhat pricey, but I decided to bite the bullet and get it. Thankfully, the results were worth it. The cookies were completely out of this world, and my friends (both Paleo and gluten-loving) gave them a big thumbs up! I had leftover chestnut flour after making the chocolate chip cookie recipe, and decided to experiment with the flour in other types of baking. 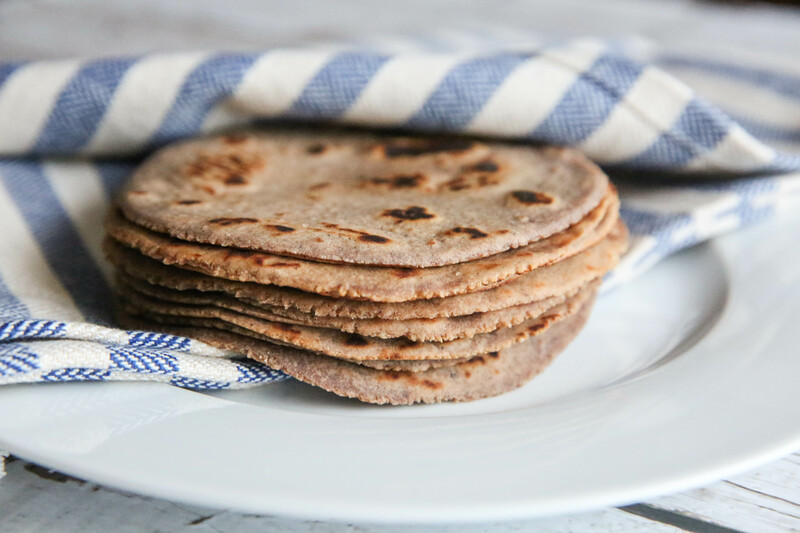 My first experiment involved making gluten-free tortillas, and now I get to share the results with you guys! Enjoy and as always, please share your results in the comments below. Recipe adapted from Serious Eats Flour Tortilla recipe. In a medium-sized bowl, whisk together the chestnut flour, tapioca flour and salt. Add in vegetable shortening, and using a fork press the shortening into the flour (flour will be somewhat crumbly, make sure no large chunks of shortening remain). Add water to the bowl, and mix until the dough is smooth and sticks together (If the dough is too wet, add more chestnut flour. If the dough is too dry, add water, one teaspoon at a time until the dough reaches the right consistency). Lightly sprinkle a clean surface with chestnut flour, and knead the dough for approximately 1 minute. Let the dough rest for 30 minutes. After the dough has rested, shape the dough into 8-10 balls (depending on how big you want them), and place the balls back in the bowl. Cover the bowl with a towel so that the dough retains its moisture. Heat a cast iron skillet to medium-high heat. 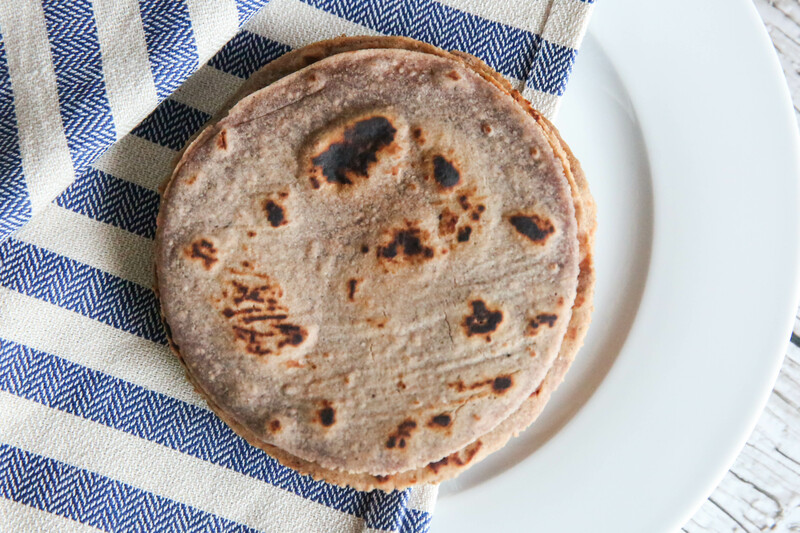 While the skillet is heating up, flatten a ball of dough using a tortilla press (if you don’t have a tortilla press, place the dough in between two pieces of parchment paper and flatten using a rolling pin). Once the skillet is heated, place the flatten dough into the skillet until bubbles begin forming and bottom begins to slightly brown, approximately 45 to 60 seconds. 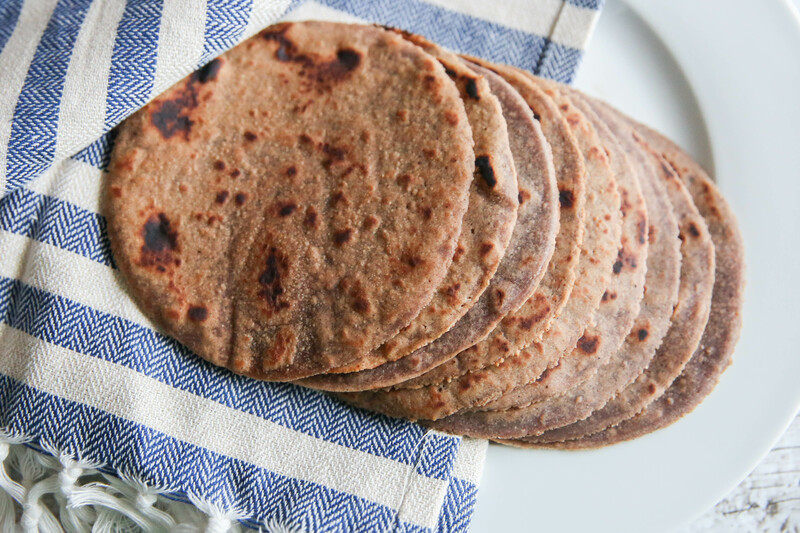 Flip the tortilla over and cook an additional 30-45 seconds. Then remove the tortilla from the heat. Repeat steps 8 through 10 to cook the remaining tortillas. 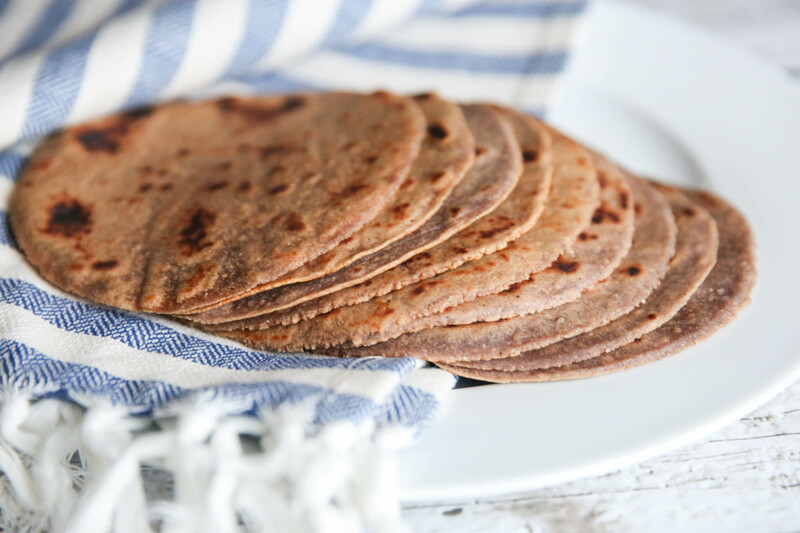 Tags: chestnut flour, gluten-gree, grain-free, tapioca flour, tortillas | Permalink.